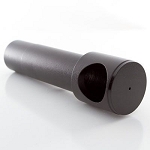 The Antares Laser Collimator allows you to adjust both of the telescope's mirrors with a simple, precise, two-step procedure. 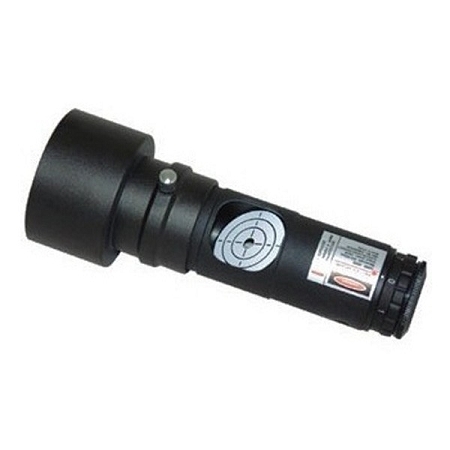 The collimator fits in 2" or 1.25" focusers and emits a variable red laser beam into the telescope. Tilt the secondary mirror so that the red laser dot hits the centre of the primary mirror. Then tilt the primary mirror so that the return beam hits the white plate angled at 45 degrees in the collimator's window. Adjust the mirror until the return beam lines up with the original beam. Your scope will be collimated for optimum performance with this high quality laser collimator in only one or two minutes!